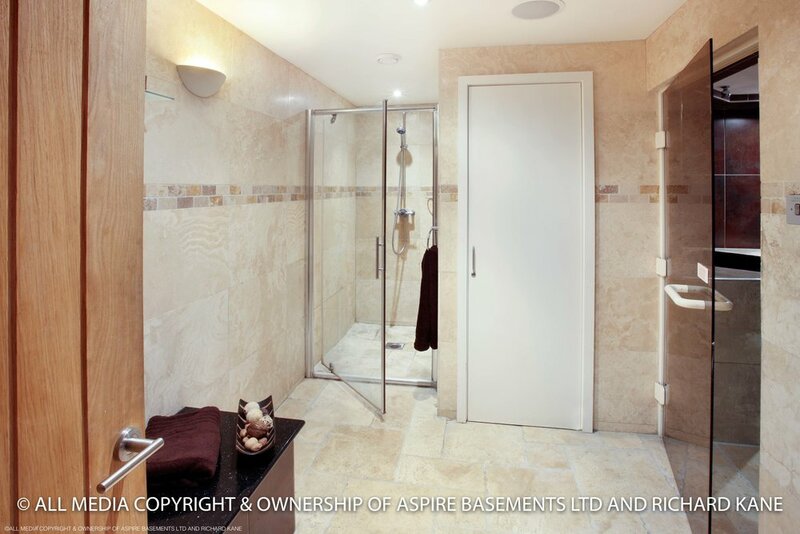 When looking at ideas for a basement conversion or a way to convert your wasted space into a new and exciting addition to your home, the experienced team at Aspire Basements allow for endless cellar conversion ideas. A converted cellar can be tailored to any person, couple or family to provide the perfect space they never knew they needed. 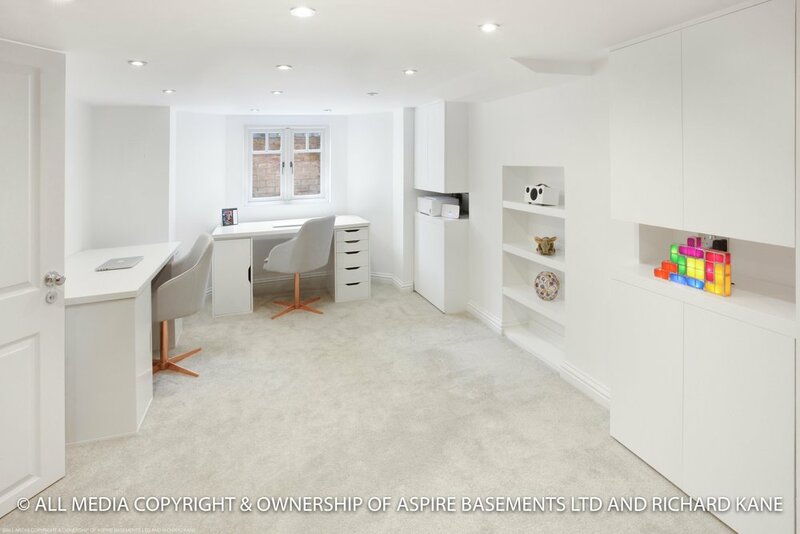 Basement conversion ideas like these can give any home a private space that is tailored to you – for someone who needs an area to work hard but still feel at home, why not try converting your basement into a modern study space that creates the perfect balance between a professional office area and your unique style? Or perhaps the family may need a place for some downtime? 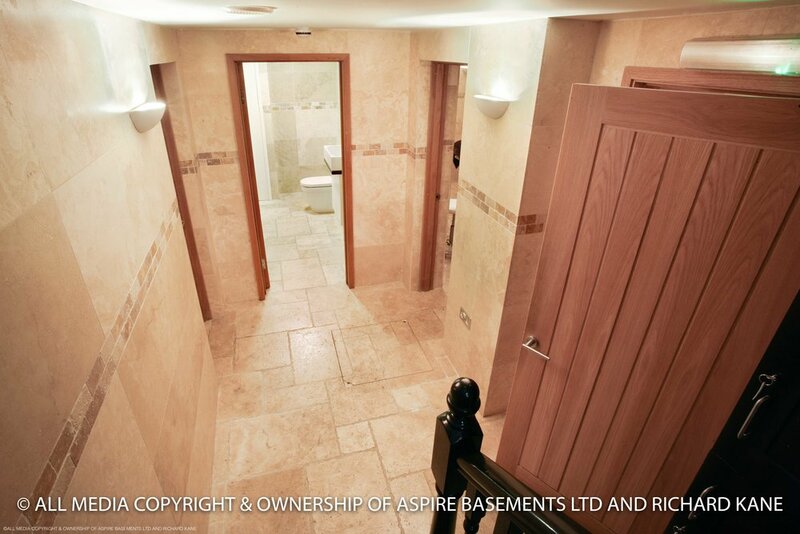 The aspire basement team can convert your cellar into a cinema room, perfect to help the kids wind down or for when the adults need some alone time. 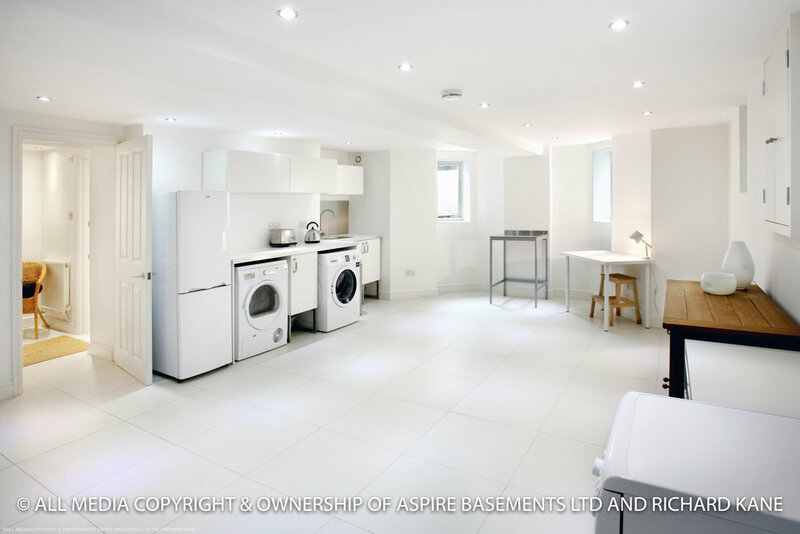 Other small basement ideas like kids play rooms, utility rooms and lounge areas are also other great ways to utilise the wasted space your home has. 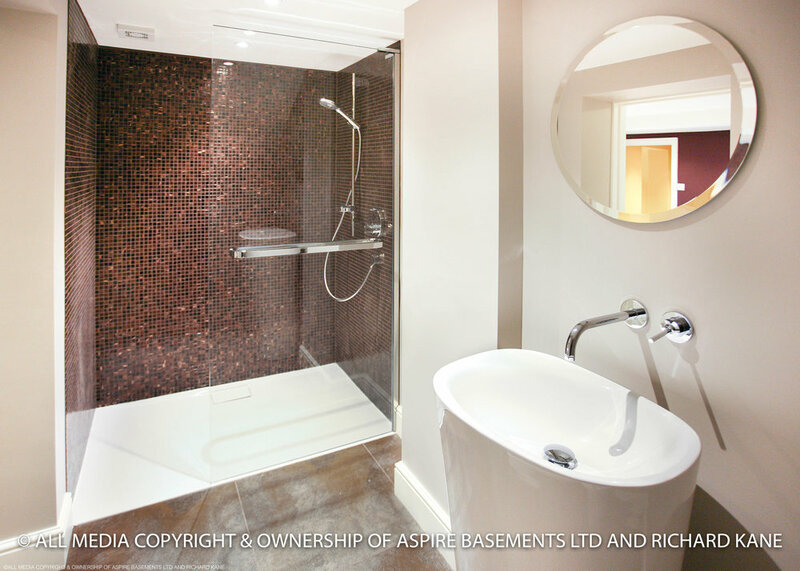 The basement contractors within the Aspire Basement team also offer bespoke designs and conversions which give luxurious and innovative new basement spaces. 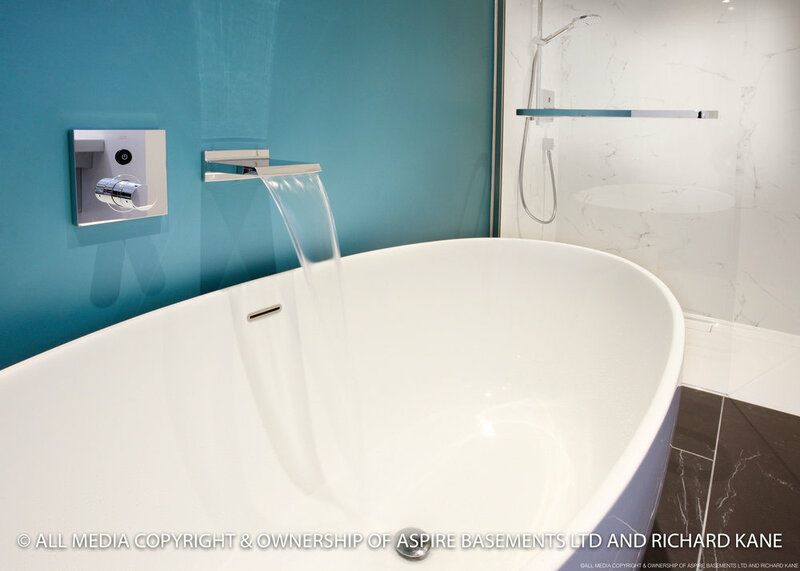 Hot tubs, steam rooms and saunas are all an exciting way to add an element of luxury to your home, giving you and the family a space to unwind and relax, giving you the spa experience without even leaving your house. 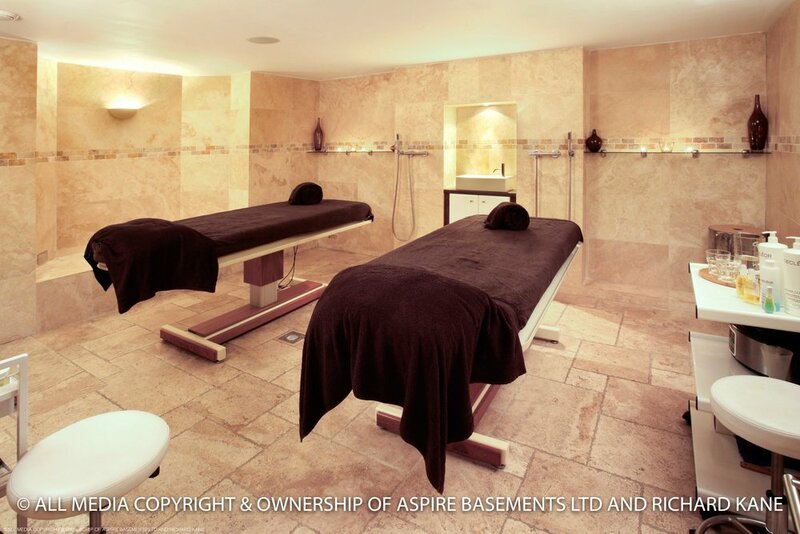 Many other bespoke designs such as basement gyms and basement swimming pool rooms can all be made possible by the experience and expertise of Aspire Basements. 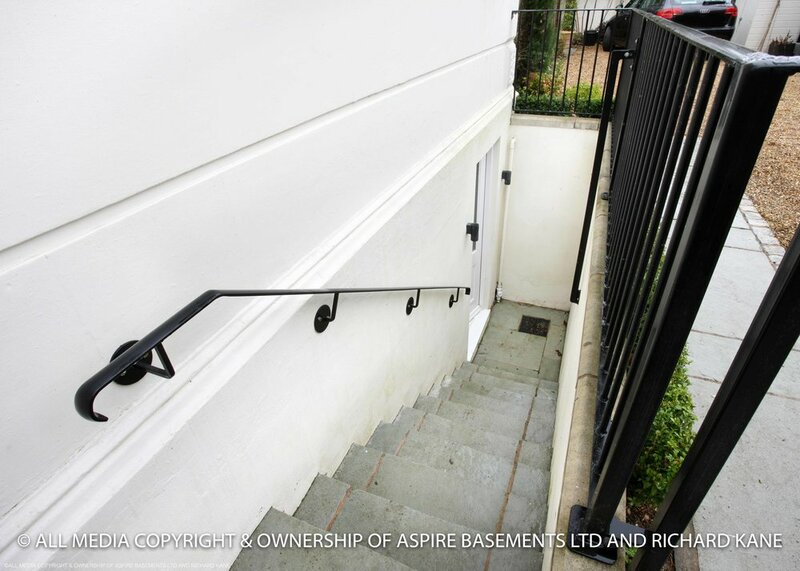 What are the benefits of converting your basement and why? 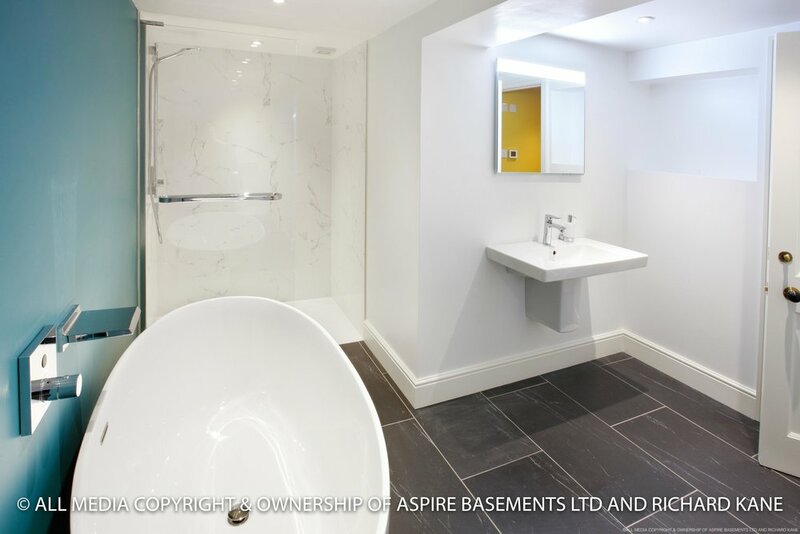 If you’ve always dreamt of having a larger home, or in need of that new space just to call your own in a busy house, a basement conversion is right for you. 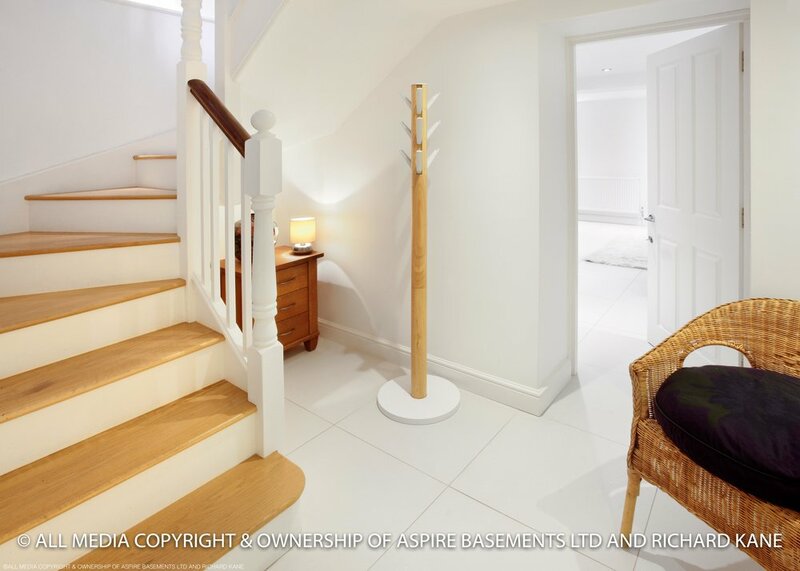 Many homes do not utilise the space in the basement, which means it is often filled with clutter that is no longer of use or is blocked off, therefore a conversion won't take up any of the home space that you need it will only utilise the wasted space you don’t use and give you that new room you never knew you had. Converting your basement is hugely beneficial to not only people in the home, but also to the house itself. 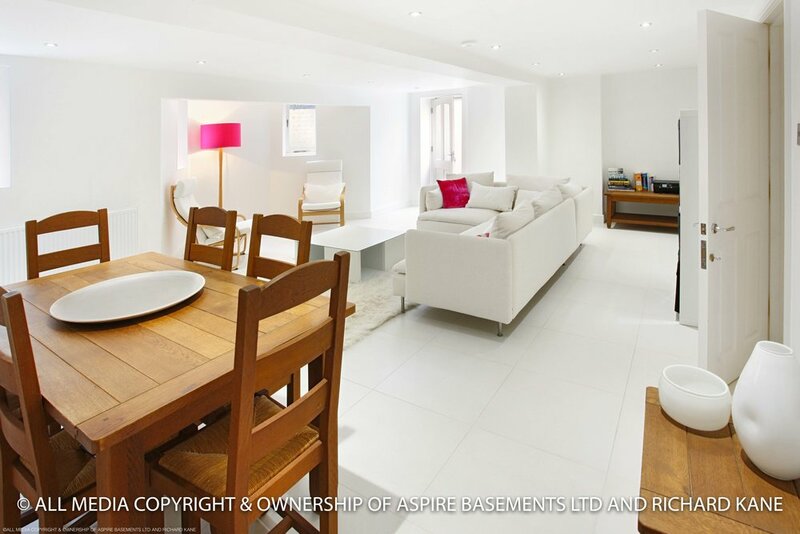 A newly refurbished basement conversion will enhance the home as a whole and will increase the value of the house, enabling the sale of the home to be easier and at a better price. Can any type of basement be converted? 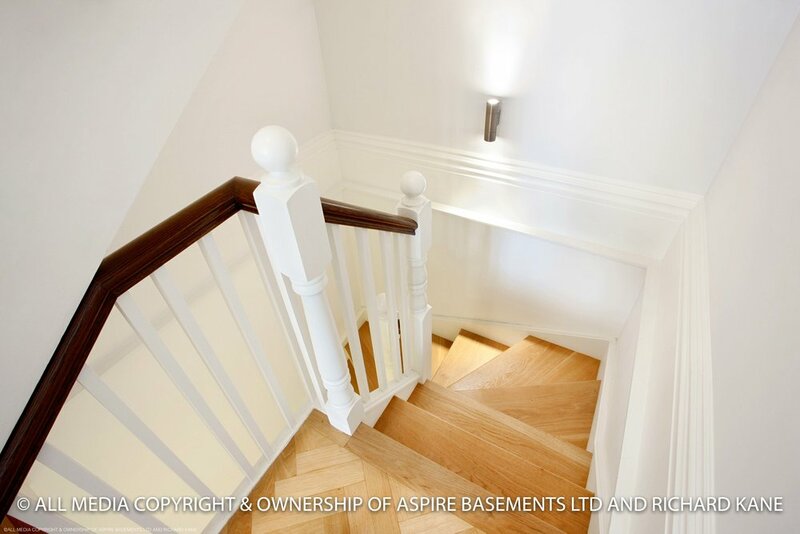 It is possible for almost any type of cellar or basement to be converted due to the talent and experience the team at Aspire Basement possess. 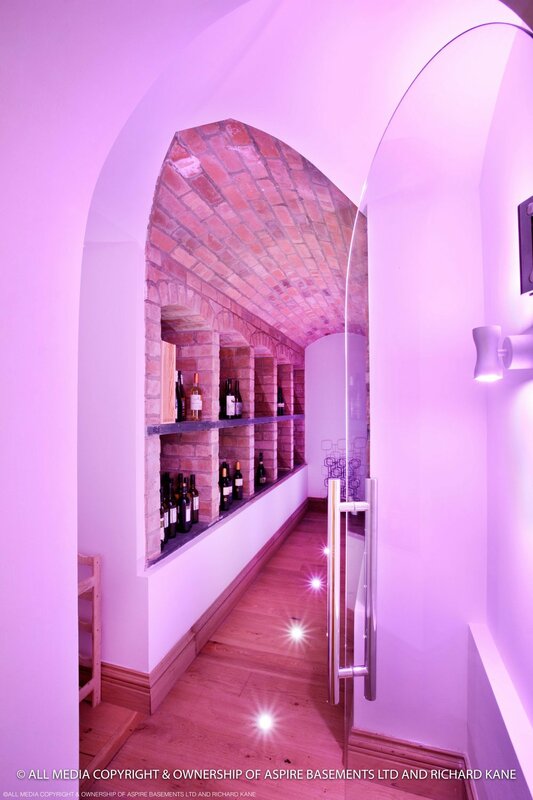 They can work with you to give small cellar conversion ideas that may require options such as ‘low ceiling solutions’ like strategic lighting and windows, in order to create an open and comfortable feeling to the room and provide that luxurious space that you desire. 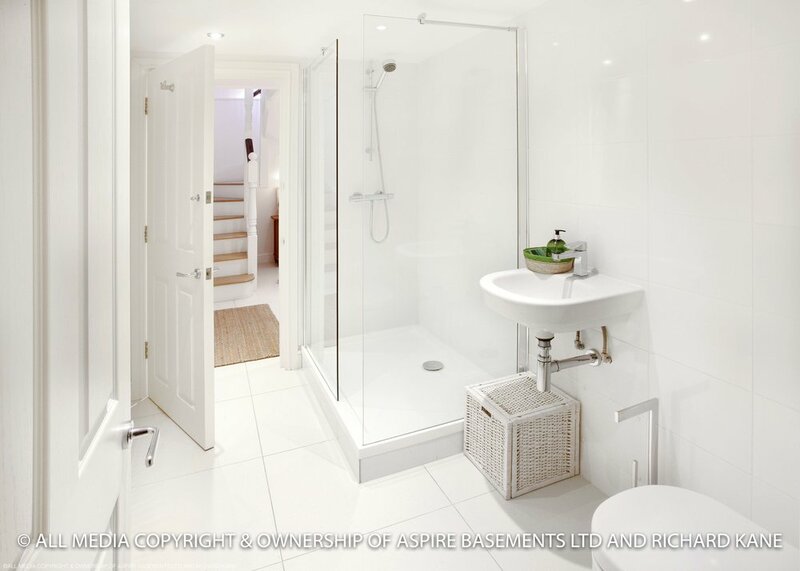 In comparison, the team can also convert much larger spaces and basements to give beautifully designed bespoke conversions that fully utilise every inch of open space and create a unique room perfect for you or the family. 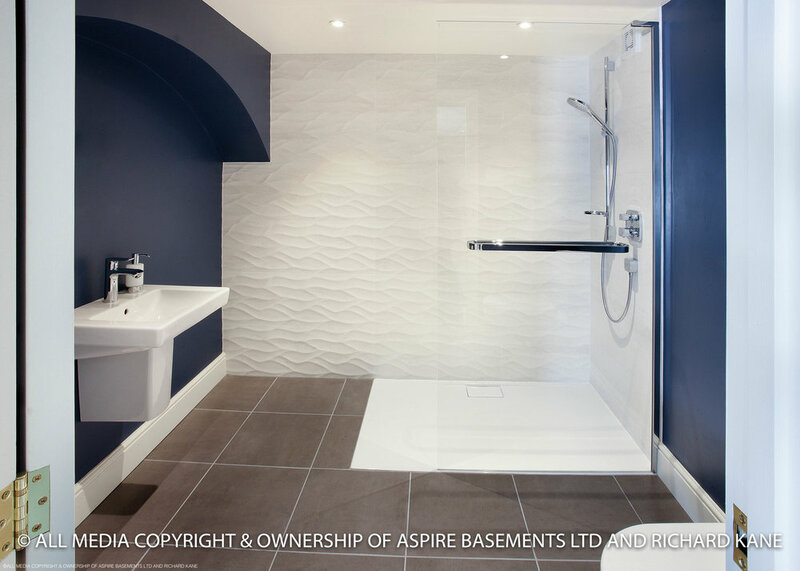 The Aspire Basement team are based in the Warwick and surrounding Warwickshire areas, Don’t hesitate to get in touch through the contact tab and send a message to receive a free, no obligation quote.